For the last few months, during my job search, I’ve been thinking a lot about resumes and cover letters. You want to stand out, but you have to do it within very strict parameters. Graphic designers get a lot more latitude with it, though. 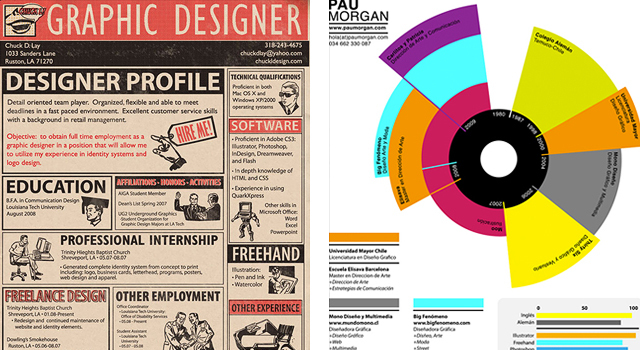 I came across a cool infographic resume yesterday and proceeded to spend way too much time combing the internet for more fun resumes.